Gear reservations are for weekly rentals only and must be made at least 3 days pre-arrival. For daily rentals or rentals within 72 hours of arrival, proceed directly to a Snorkel Bob’s store in Hawaii. Or, speak with a Snorkel Consultant at our Kauai, Oahu, Maui or Big Island store locations from 8 to 5 HST, every day. All snorkel gear sets include mask, rubber fins, BUBBA SNORKEL, net gear bag, no-fog goop, Hawaii fish card, & snorkel map’n safety tips! Gear is fitted in-store. For Hawaii activity reservations (boats, luaus, ziplines, whirlybirds or bikes), click here. How long will you keep your gear? Free Premium for reserving your gear! Step up to a MoflO2 or MoflO2RS. Burning lungs with a heavy heart & head afflict the snorkeler breathing too much CO2. Do you really feel like sighing in a elevator? Breathe easier! Add a Mofl02 or MoflO2RS to any gear package for $10/week. Your friends will ogle with envy at these rocket launchers, but they’ll ogle alone (fools) while you throw a bow wake off your chest & in a single sardonic HA!, look down & get down 20′ in 5 strokes. Add Moflex fins to any gear package for $10/week. SPECIAL! 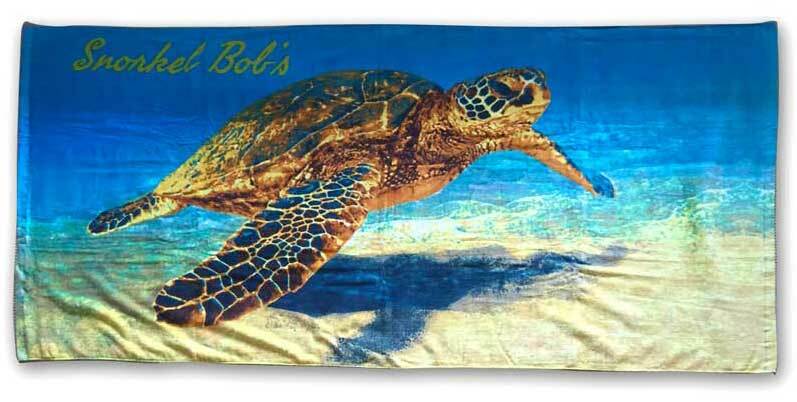 Custom Reef Beach Towel $15 (Reg. 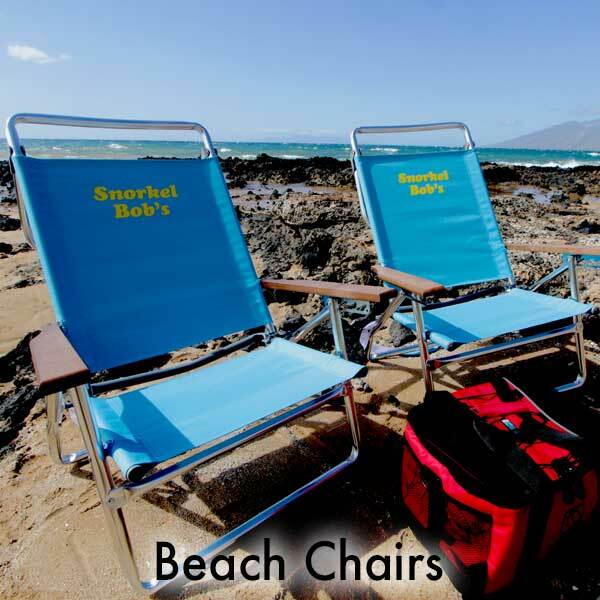 $20) with Split Level or Ultimate Truth gear sets & book n’ a beach chair rental. Need some extra flotation? 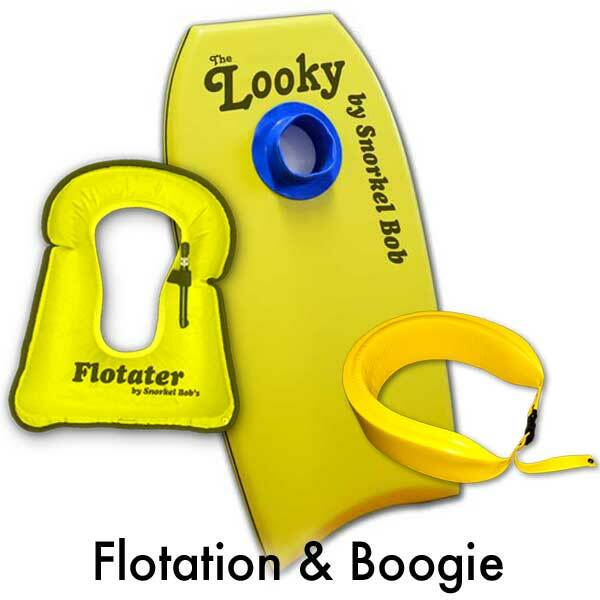 Pick up a flotation belt, Flotater Inflatable Snorkel Vest or a Looky Board with viewing port. Don’t want to schlep your gear? Use our Interisland Pick Up [IPU] for $5 per set/item. 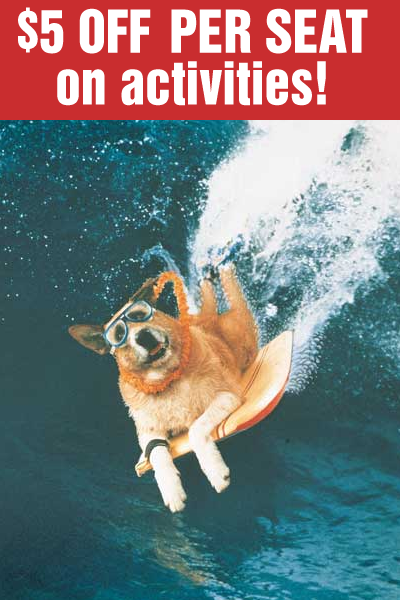 Get $5 OFF PER ACTIVITY SEAT when you book 2 seats on most boat trips, luaus, heli tours, ziplines or surf/kayak tours! Book most Boat Trips, Luaus, Heli Tours, Zipline & Surf/Kayak Tours and get a FREE BOOGIE BOARD FOR THE WEEK. 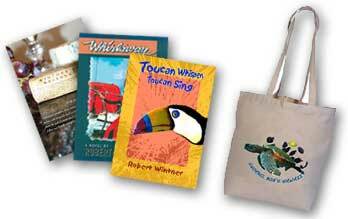 And also choose a FREE TURTLE BEACH BAG or a Robert Wintner novel! CLICK HERE TO BOOK YOUR ADVENTURES!